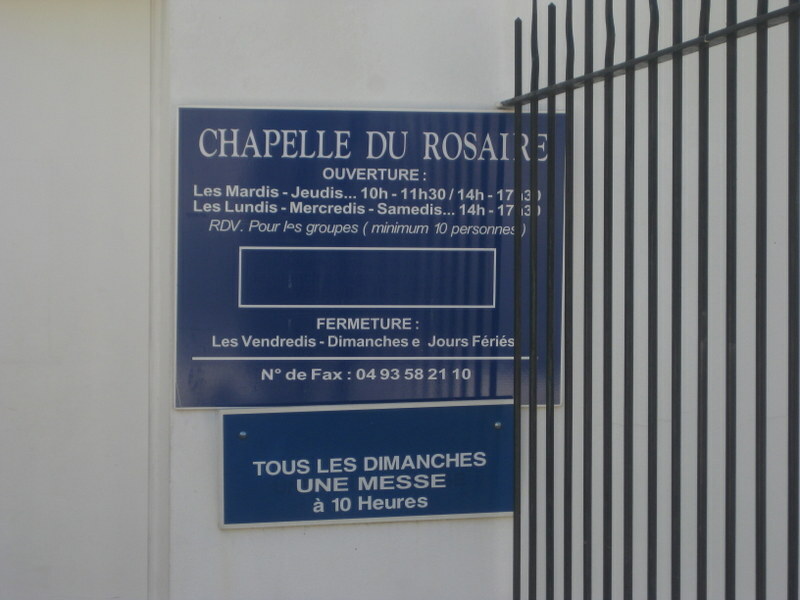 If you are inspired to visit Tourrettes Sur Loup (see last post) you should have time to call in to see Matisse’s famous chapel at nearby Vence which the artist called his ‘masterpiece’. 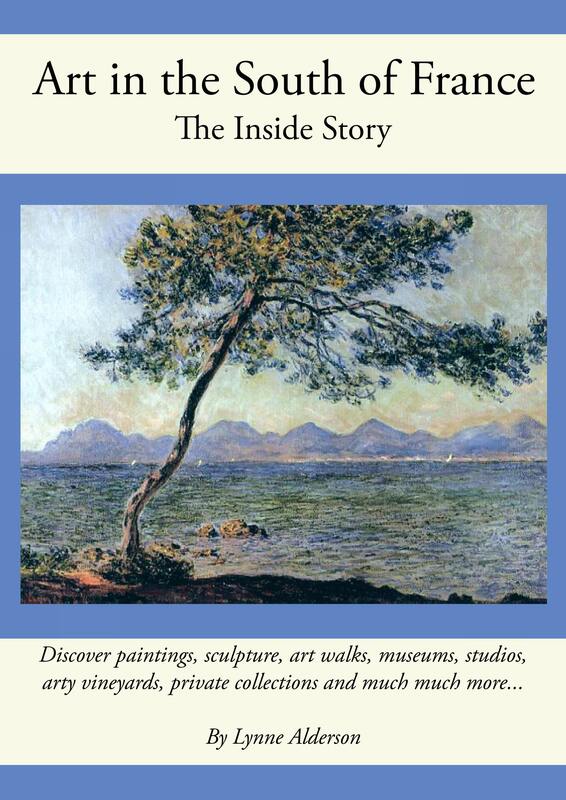 Recovering in Nice from cancer, Matisse had hired young Monique Bourgeouis to nurse him, and also to act as a model. 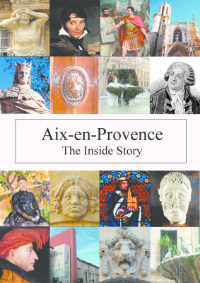 She subsequently became a Dominican nun and joined the convent in Vence. 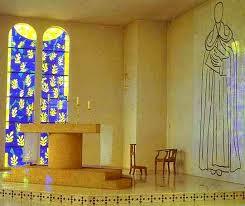 They needed a chapel and she turned to Matisse for help. Despite the fact that he was 77 and weakened by illness and surgery, he spent the next four years on the project, from the design, decoration and stained glass windows, to the chasubles for the priests. It’s the windows that dazzle as you walk in to the white, zen-like chapel. 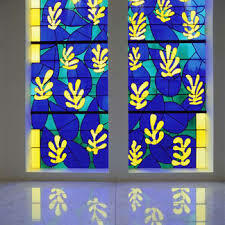 He chose yellow (the sun), blue (the Mediterranean) and green (local vegetation) and abstract patterns in the style of his contemporary ‘cut-outs’. On the walls are three murals, St Dominic, the Virgin and child, and the stations of the cross, all in graffiti-like black marks against the stark white surface. The floor is made of shiny white tiles and reflect the colours from the sun shining through those beautiful windows. The chapel is regarded as one of the world’s finest ecclesiastical buildings. ‘Anyone walking into that space who doesn’t feel great emotion is incapable of feeling,’ said Tate director Nicholas Serota. Not everyone agrees. Tripadvisor currently has 7 people marking it as ‘terrible’, mainly wound up by the 6€ entrance fee and the fact that because it is small, the visit is brief. Its unusual opening hours and the fact that it sometimes closes without notice don’t help, as most people have made a diversion to visit. You can’t please everyone, as we know. I agree with you that it’s a very special, spiritual place. Especially on a sunny day…what a wonderful experience!